"JAIPUR" a city enriched with an array of culture and tradition, the mixture of vibrant colors, a city of historic monuments, appetizing flavored cuisine and beautiful solitude for miles and miles. The moment you enter Jaipur you can sense the aura of the city, this city has something that no one can put his eyes off. Camels graced with myriads of vibrant colors, the famous Rajasthani folk song acknowledges a warm welcome with an array of spiced foods that leave you deeply immense. There are so many must visit places on a trip to Jaipur that you shouldn’t dare to miss. The closer you move forward the more you get to learn about the city. The incredible and remarkable historic monuments will leave you breath-taking. Finely sculptured walls of the palaces and the history of a famous emperor and their royal conduct will definitely make you cemented. Every wall, every building itself narrates its royalty. HISTORIC MONUMENTS - Commencing with the most alluring monument JAL MAHAL situated in the midpoint of the Man Sagar Lake, covered by Aravali hills on its north, east and west and the gloom of sun rays in the lake water leave everybody mesmerized by its grace. HAWA MAHAL - Another historic monument, a 4 story building with pink finely sculptured walls and intricate jharokhas situated in the heart of the city is an amazing blend of Hindu and Islamic architecture. The local traditional market underneath adds beauty to this magnificent and iconic monument. In the lightened lamps and diyas make this places an unforgettable visit. NAHARGARH FORT - Nahargarh fort is the only place from where you can capture the entire Jaipur in your memories at once. At night from the top Jaipur looks so fascinating that anyone can get hypnotized by its beauty. It feels that thousands of lights have been lit up at once. You can enjoy an awesome bonfire night viewing the Beauty from the top under the gleam of the moon and the stars. CHOKHI DHANI - A perfect place to enjoy the pure Rajasthani culture, tradition, and food. Once you enter the place you will not believe your eyes, certainly looks like a small village settled over the sand dunes over a mile, with the folk Rajasthani song played over Sitara and the famous Kalbelia dance at the end one and funambulist performing various plays that are very tenacious to see often. RAJASTHANI CUISINE -Rajasthani thali is the perfect paramount of the divergent variety of flavored spices and food. From delish dal bati, gotta to kadhi everything is prepared in a traditional old way with lots of ghee and served with an open heart. Every traveler has a desire to taste the Rajasthani food cooked with an alluring aroma and flavored spices. ART AND CULTURE - If you walk down to the local market you can see the culture still prevailing and followed by the people. It's the only place where thousands of colors can be seen at once, rich in colors, art, and crafts. The artisans there still follow the same old tradition of art and craft that they adapted from their forefathers to keep their culture alive and are carrying them to their next generation. Jaipur is a place where every tourist is worshipped as a god and is welcomed with an open heart, and justify the phase "ATITHI DEVO BHAVA". The worthy respect and pride that Jaipur shares in the part of the globe can be experienced only when traveling to this royal city. There is a lot to share about this city. Words aren't enough to compile Jaipur in a book. 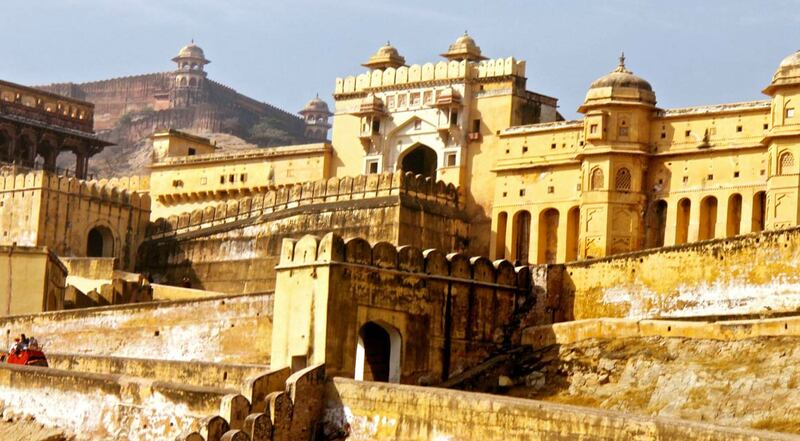 Note: Book the special tour package of Rajasthan to witness the royalty of Royal Rajasthan. So Hurry Up!!! 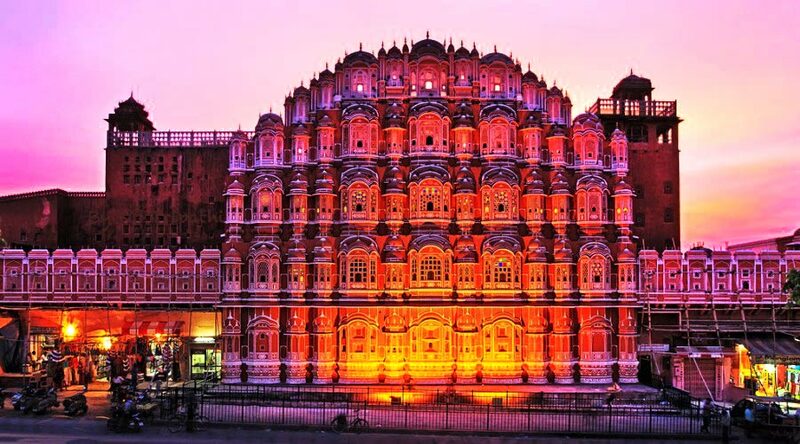 This winter book your tour package to the see the royal culture and tradition of the Pink City Jaipur.